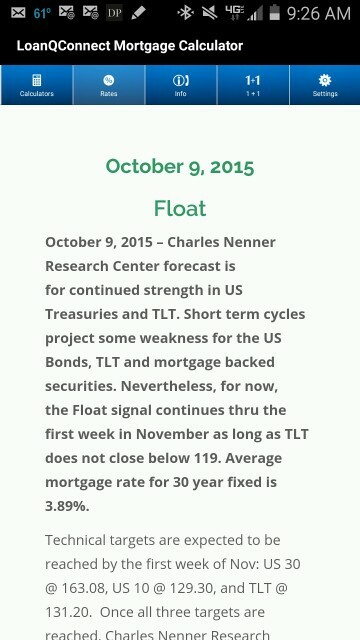 Get Valuable Information From Charles Nenner Research Center On This App About US Bonds, ETF Ticker Symbol TLT and Mortgage Rate Locks! 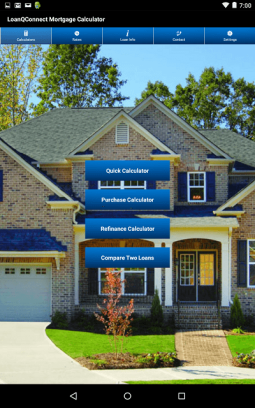 Complete Scenarios In 90 Seconds From Your Mobile Device! 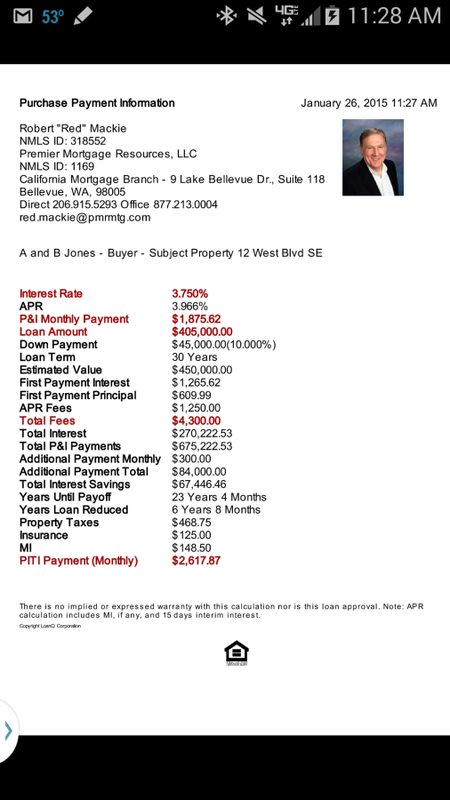 Loan Quotes Made Specifically For Each Client As A PDF! 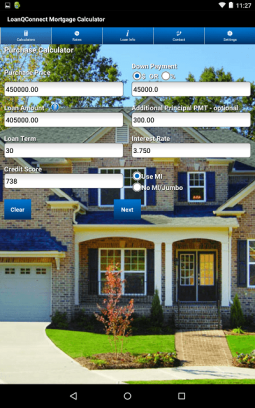 Create Loan Scenarios For Your Clients And Realtors You Can Share In Seconds! Download and Save To View This Demo Now! Get valuable bond market and rate lock timing guidance from the financial world leader in market forecasting! Know when the market is turning and when to float or lock! 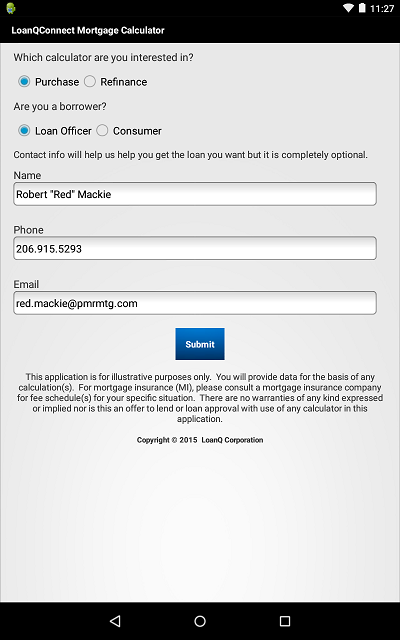 Create Scenarios With Specific Data You Can Change And Send From Your Device! Give Your Client Something They Will Talk With You About! Changing Employment? 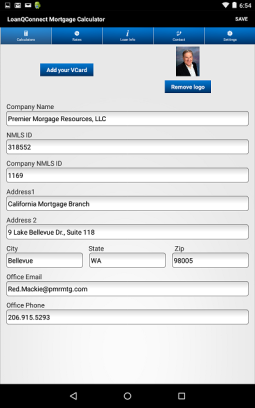 A Quick Update Of Your Contact Information In The Settings Tab Is All It Takes. 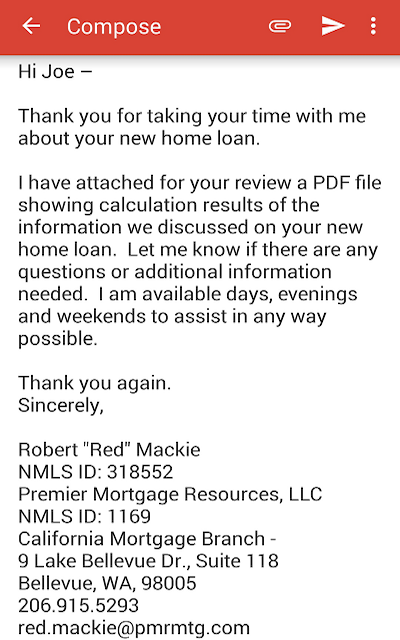 Get Mortgage Rate Lock Guidance. 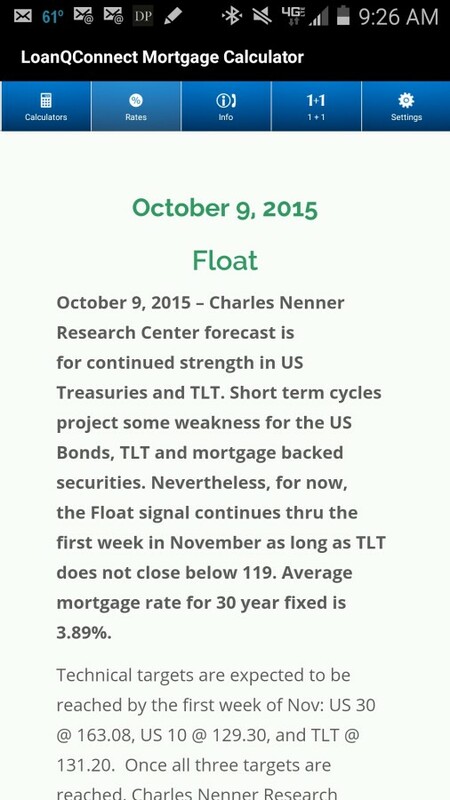 Know When To Float and When To Lock With Target Bond Pricing & Directional Change Dates! Quickly Create Accurate Scenarios One After The Other And Share Them In Real Time! "I love this App. It's is the best way to send a quote. It's my office on the go!" 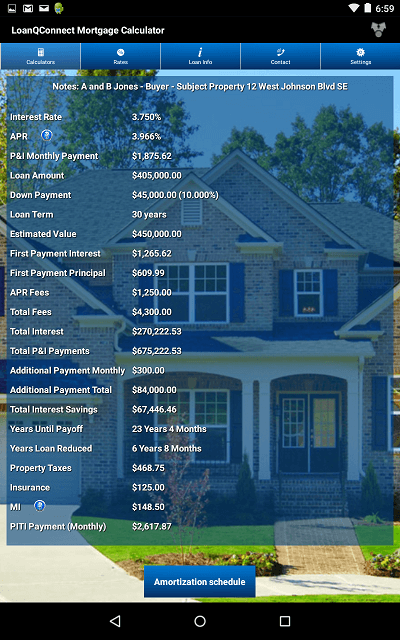 "This is the best presentation from any broker I have seen. Easy to read and to the point. I am very happy!" "Amazingly easy to setup and use. I couldn't have asked for anything better when I am away from the office or the company network." It’s a great way to work with new borrowers. Share relevant loan data with them right away even at an open house. Cahrles Nenner Research Center Get the latest on interest rate trends. Know when to lock. Choose From 5 Calculators Send quotes for the right situation! Make A Great First Impression! Send your contact info with your quote. Let them know about you and how to contact you any time, any where! One Page Quote Make it easy for your clients to see all the benefits of working with you! 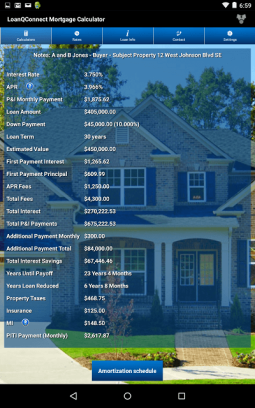 Use Salient Data Send a quote with the best data available. The Complete Quote! Send all the payment information including property tax and insurance info for easier decision making! 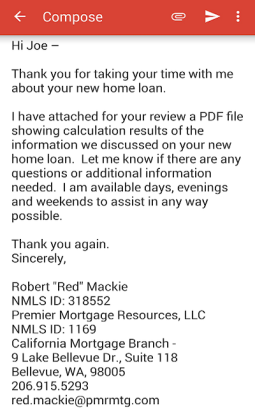 Preview Your Loan Estimate Review your results before sending! Make changes if needed. One Time Registration It's Fast Friendly and Easy! 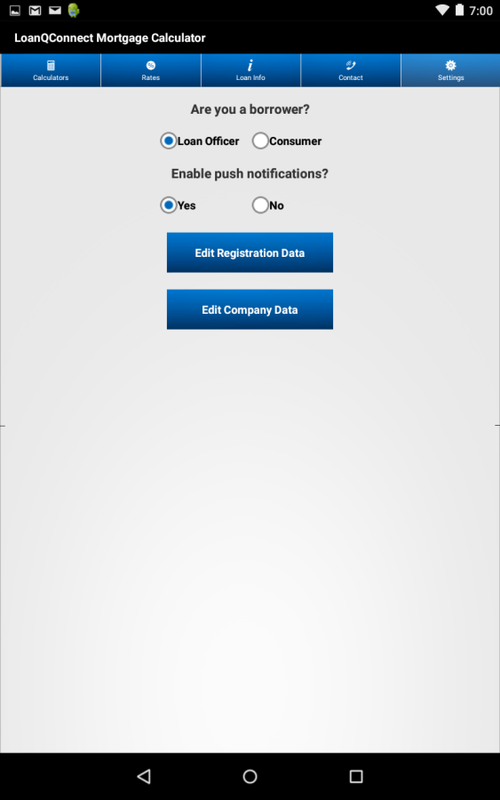 Change Your Information and Push Notification Choices You can always update your company and personal information quickly in the setting tab. Change Your Company Data! Easily change your company or personal info for anything from a new phone number to new employment with this intuitive design.